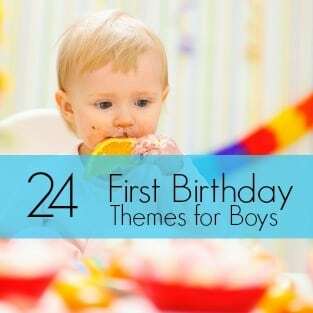 Are you looking for a unique older boy birthday party theme idea? Ahh, think of the possibilities! Angie, of Beautique Events, sent us this chocolate bar dessert table idea she recently styled for a birthday celebration. Decorations for this event were done in classic black and white. I think this concept could also work well for a Valentine’s Day celebration, don’t you? Imagine how beautiful a few red hearts would look on this glowing table. Black and white can be somber, but when you add stripes you also add a casual element to the sophistication. Angie kept the table backdrop (by Illusion Custom Graphics) simple to let the tempting chocolate desserts take center stage. Sleek white pedestals and platters stand out against the black serving table. I like Angie’s use of gold embellishments to add a sparkly shine of excitement to the tablescape and votive candles made the entire arrangement glow. The clear glass of the generous sized apothecary style jars added another element of sparkle. Bows dress up candy dishes and pedestals but I especially like how the cookie stacks look like small gift packages with their ribbons. Dashes of gold are repeated in several spots, including on the backdrop, cupcake sleeves, tent cards, spoons and just on the tips of the bows — sweet touch! There were eleven different delights to tempt birthday guests to celebrate with chocolate decadence! The dessert menu included macarons (by C.J. Sweet Treats), mousse, panna cotta, rum balls, cupcakes, peanut butter cake pops, chocolate bars PLUS chocolate candies! Although no dessert was left behind, the favorites of the evening were the peanut butter cake pops and panna cotta. METHOD: Combine cream and sugar in a sauce pan, bring to boiling and immediately remove from heat. Add chocolate and stir until melted. Add the dissolved gelatin. Pour the mixture evenly into 6 -12 dessert cups. Chill for 3-4 hours or until set. If you’re looking for a delicious way to celebrate a boy’s first birthday or perhaps how to delight Valentine sweeties, this could be the theme that ignites taste buds!